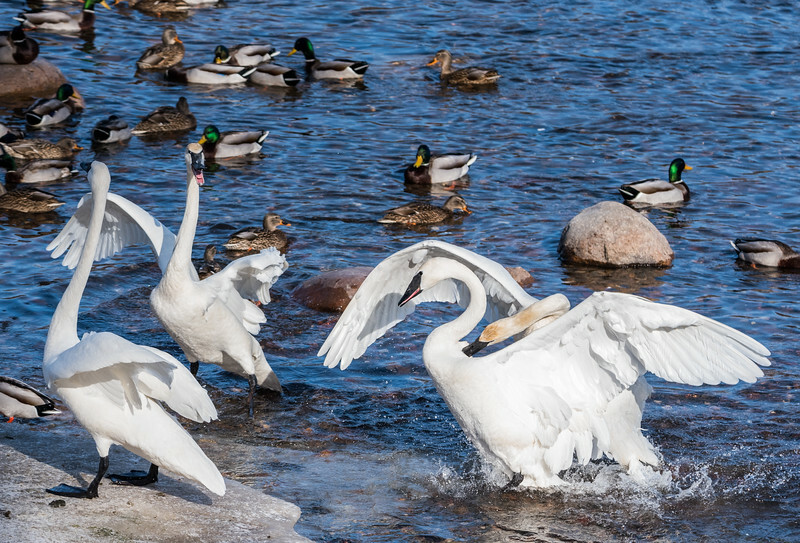 Trumpeter Swans can be found in Monticello, MN at a little park called Swan Park. It is amazing the noise all the swans can make when gathered in the open water. You can stand in the viewing area and watch for as long as you can take the cold.